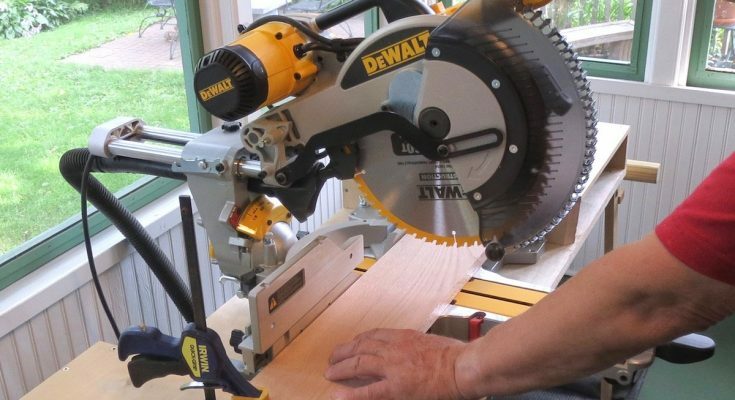 It’s hard to imagine most DIY wood projects complete without the saw doing a significant part of the work. You need the right tool for the right job. And a quality saw is a certain mainstay of almost any professional carpentry or woodworking toolkit. When building up your toolkit, it may be hard to decide on the type of saw that you need. Most wood DIY enthusiasts here, however, tend to contemplate whether they should buy a table saw or a miter saw. Which one will fit your projects best? Do you want a one-size-fits-all solution, or do you have more intricate wood projects in mind? Are you looking for something more robust or something that requires a greater skill? It’s important to ask yourself these questions. They tune you into the basic question you’re facing: What is it that you want your saw to do? Versatility Not every wood enthusiast or professional is after sophisticated wood projects. Perhaps, all you need is just a quality saw that can perform a variety of common tasks reasonably well. If that is the case, look no further than the table saw. By far and large, table saws are much more versatile than miter saws. Precision If the wood projects you have in mind require attention to detail, miter saws will serve you better. Thanks to their special design, they are capable of delivering much more accurate cuts at more precise angles. Table saws generally do not have this capacity and are better for more straightforward tasks when working with wood. Robustness Some wood projects may include cutting fairly large and heavy pieces of wood, such as plywood sheets. If that’s the case, a miter saw may not be a good pick for the job. The problem is that its height seriously limits the height of the wood you can cut on it. Table saws, on the other hand, don’t have significant height limitations. Safety Few people consider safety when choosing a quality saw for their toolkit. But it shouldn’t be discarded as an important factor. Anecdotal evidence suggests that table saws tend to be more dangerous than miter saws. Both, however, will pose risks to you while operating them if you misuse them or don’t maintain them right. If you must pick only one type of saw, go for the table saw. It is the more versatile, more straightforward in use, and allows you to perform most common tasks with it. As such, it will assist you with much more wood projects than the miter saw will. If, however, the wood projects you plan require much more accuracy, the miter saw is a better investment. It is especially a good fit for working with smaller wood material and for making more precise cuts. As such, it is essential for any serious carpentry work.